Lubricate chain saw bars and chains to extend the life of your machine. 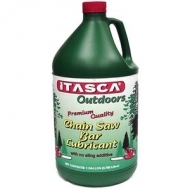 This chain saw oil helps prevent rusting, corrosion and excessive wear. 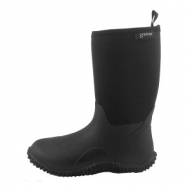 10.5" high boots are functional and versatile. 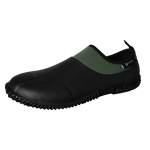 Features a high quality insole for maximum comfort and they are 100% waterproof. Easy step-in design. Made of a resilient resin - flexible, not stiff, tough and long wearing. 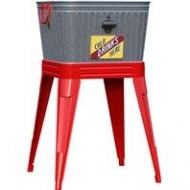 Can be machine washed and air dried, Made in the usa. 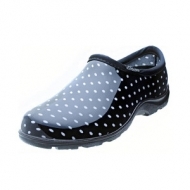 Whether you're working in the garden, or just out-and-about town on a rainy day, you'll be comfortable, dry and secure in your Black and White Polka Dot Shoes. 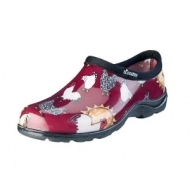 You'll love the slip-on convenience and comfort, the ease of cleaning and secure traction, but most of all, you'll love all of the compliments coming your way! Just like the rest of our Sloggers MADE IN THE USA shoes, they include our "All-Day-Comfort" insoles, our signature deep lug sole for great traction in wet and muddy conditions, and a soft binding around the top. Our shoes are made from 100% RECYCLABLE, medical grade material so they have a soft feel and no odor (unlike the China stuff),they are easy to hose off clean and will last for years. The sole contains up to 50% recycled material. 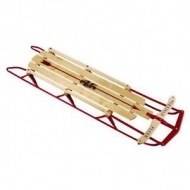 Create memories with your family with this classic Flexible Flyer sled! 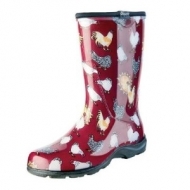 Attention all "Chickenistas": our Sloggers Women's Waterproof Comfort Shoes in Barn Red Chicken Print and are sure to be a hit with "the girls"! Women's sizes 6 - 10 - Made in the USA. Always was. Always will be. Simply nature’s best fire starter. Born from the wood of old pine stumps left for waste after logging, it is made from splitting the stumps of pine trees that contain a high concentration of natural resin. 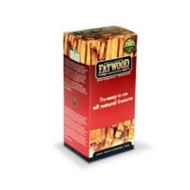 As the stumpwood hardens over time, the resin or sap concentrates to create an all-natural, 100% organic, chemical-free fire starter. 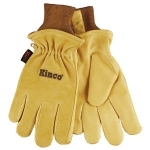 Tough work gloves lined with a split/grain pigskin leather palm, featuring "HeatKeep" lining, snug knit wrist, and keystone thumb. Provides up to 100% longer reach when extended. 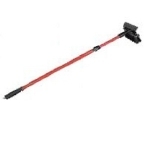 Wide blade and broom extend up to 48" makes it great for larger vehicles. 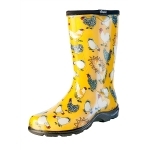 Our Sloggers Women's rain & garden boots are just the right height for garden work or rainy days around town. 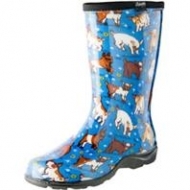 Lower and wider than most rain boots, there is more room to tuck your pants into, and just like the rest of our Sloggers MADE IN THE USA boots and shoes, they include our "All-Day-Comfort" insoles and our signature deep lug sole for great traction in wet and muddy conditions. 1" Chlorinating Tabs is a basic 99% Trichlor tablet that keeps your water clear and bacteria free. Perfect for above ground pool application. Application: Applied twice a week in your floater or skimmer. 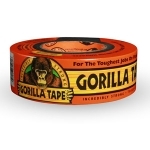 Gorilla Tough now on a roll. Bonds to things ordinary tapes can't, including brick, stucco, wood and more. Made with double thick adhesive, strong reinforced backing, and a tough all-weather shell. It's the biggest, strongest thing to ever happen to tape.